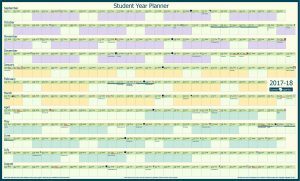 * This wall planner measures 70 cm wide by 42 cm tall. * There is room for daily notes (such as homework, appointments, parties etc) on the wall planner. 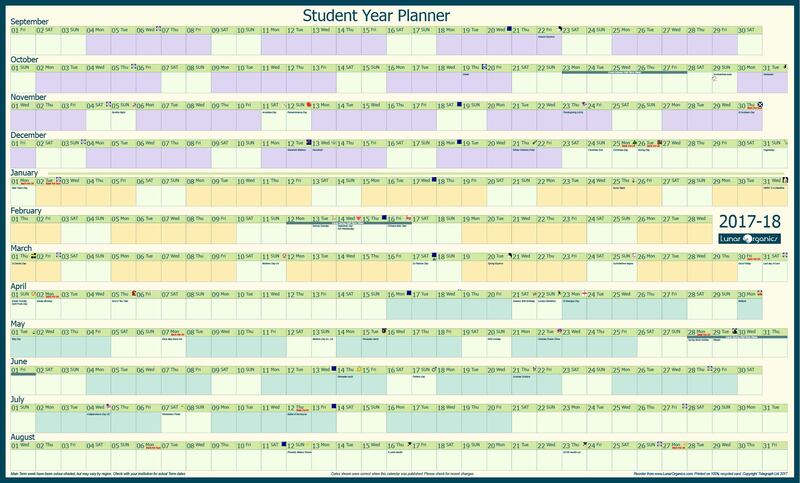 The Student Year Planner is ideal for anyone whose life is ruled by further education. 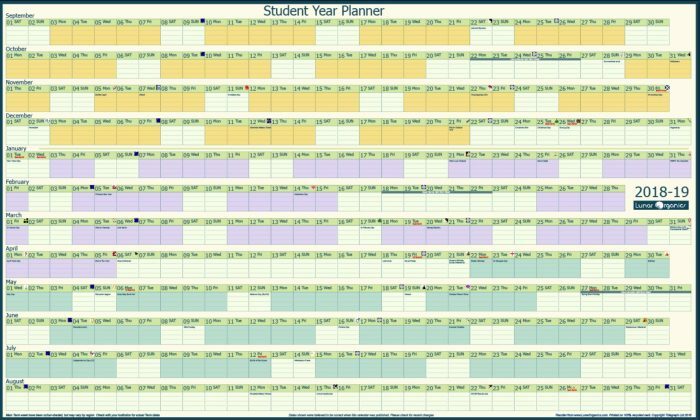 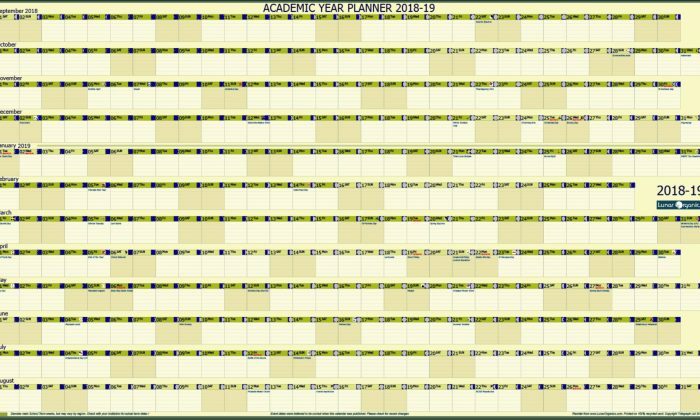 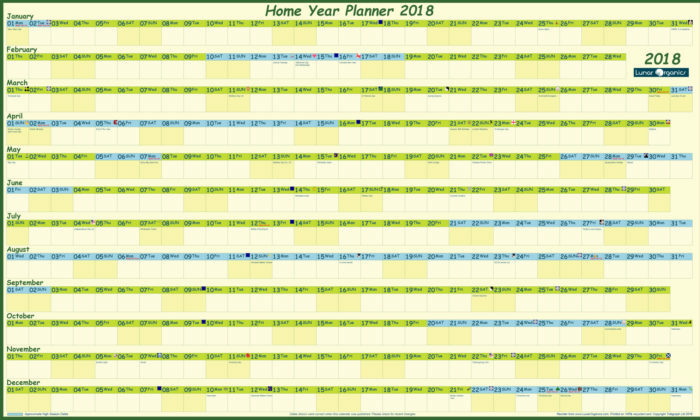 Our Student Year Planner runs from Sept. 2018 to August 2019. 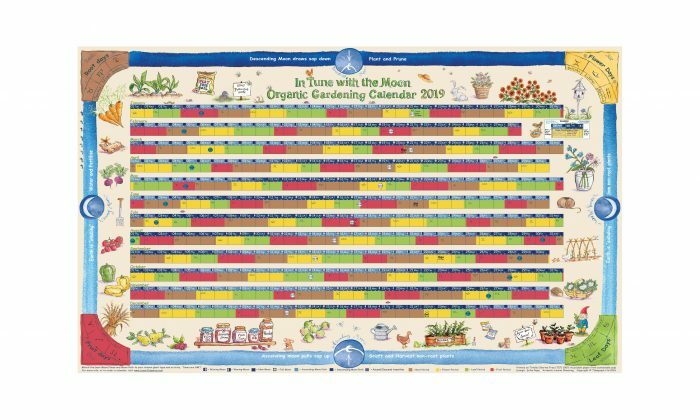 SHIPPING: UK £3.25 (rolled in a tube).